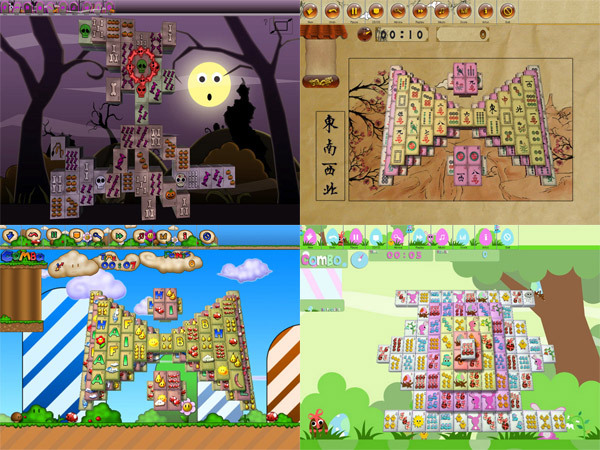 Java-Gaming.org > Games Center > Showcase > An excellent Mahjong game for MAC and Windows, thanks to JOGL and JAVA 6. It uses JOGL and the fixed OpenGL pipeline for rendering and the Bass audio library bindings for sound (it is why it runs only on Windows and Mac). The only visual effects are some custom bump mapping and some texture projection in the Halloween theme. Note: If someone could do a good sound library in Java it would be very cool. 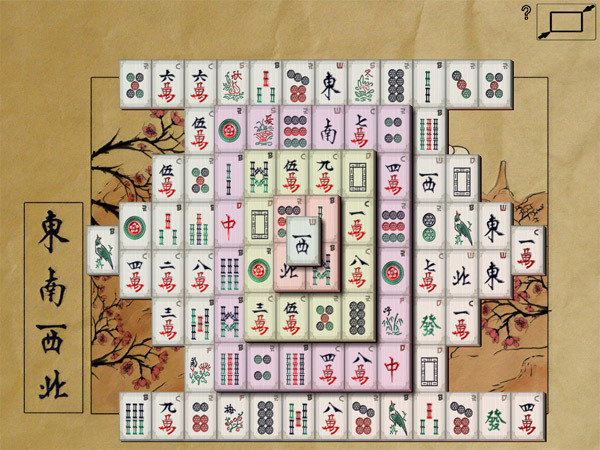 Re: An excellent Mahjong game for MAC and Windows, thanks to JOGL and JAVA 6. Very slick indeed. Have you got a webstarty / Linux one too? <edit>Ah just noticed you're using BASS. get rid of standard look and feel, it's too easy to recognize. You can develop your own L&F with Synth or take some third-party solution like Substance. 2. The timer is counting while I still read the game manual. No Linux version because of BASS audio library. I'm fed up with this kind of limitations. Why did you choose this library whereas there are other cross-platform library to handle sound? There is an existing WebStart version but it uses an old JOGL version and the UVs have to be corrected. I'll rebuild one in the following weeks. >No Linux version because of BASS audio library. >whereas there are other cross-platform library to handle sound? I completely agree with you. If I choosed Java, it was for the portability... But all the other libraries that I tried had little latency on Mac G4 or old Windows plateforms. Give me a really good audio library in Java and I'll implement it. But I'm afraid that it doesn't exists yet. Isn't it painful to add .ogg or .mp3 support to OpenAL? >Isn't it painful to add .ogg or .mp3 support to OpenAL? Ogg isn't that hard with JOrbis. And mp3... why would you want that anyways? I never seem to have been able to implement reliable streaming using OpenAL. Works on some machines, doesn't on others (inexplicable OpenAL exceptions). Code that's been posted here and there to stream .ogg files over OpenAL has that behaviour too. Apart from that, I personally quite dislike the OpenAL API (matter of taste maybe) and some implementations on Linux are flakey IIRC. That said, I found that latency in JavaSound has been greatly improved since Java6 (at least on Windows). Maybe JavaSound deserves a second chance? 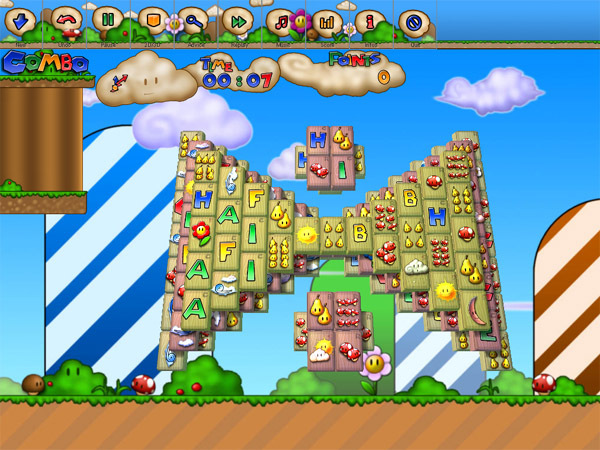 Oh, great looking screenshots BTW I'll try this out when I'm at home. >Ogg isn't that hard with JOrbis. And mp3... why would you want that anyways? .ogg or .mp3, if I have a solution with .ogg it's perfect because In-Poculis Mahjong uses only .ogg and .wav. JOrbis was my first try but I got latency. All the solutions that I tried had problems on Mac or Windows. Two months ago, I had 2 different libraries at the same time to make the sound work on all plateforms. But one week before releasing the game, I played it 15 minutes and a sound module crashed -> I said to myself: stop all this non professionnal work and take something that works. Hence, I choose BASS. I use only JOGG and JORBIS, it works fine. The engine "EasyWay" is cross-platform and uses JOGG, JORBIS and JavaSound directly sometimes and is compatible with a lot of formats. First of all, your presentation is really really good. 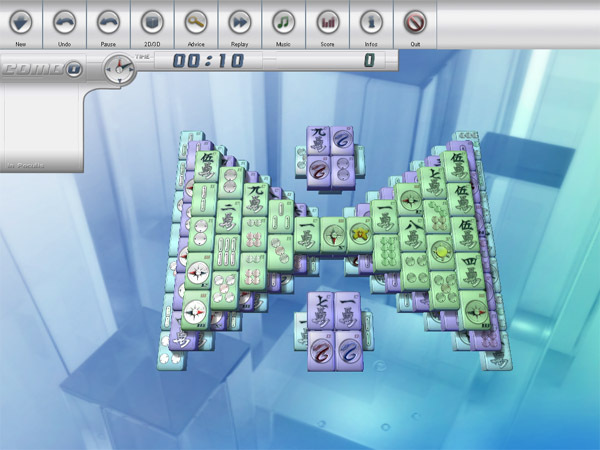 Although in my personal opinion Mahjong games are incredibly boring, I still downloaded this to check it out just because the screenshots look so amazing. Then your website also looked great, and the most important information (the download button) was also the most easy to find. Very, very well done. One little detail though, I see you're using the hideous default Swing look-and-feel in your menus. Please add a simple UIManager.setLookAndFeel(UIManager.getSystemLookAndFeelClassName()); in there, it makes things just look soooo much better.